Today, the 4th Festival Bach de Montréal (FBM) - or Montreal Back Festival en Anglais - kicks off 13 days of music by Johann Sebastian Bach with a performance of the St. John Passion by Arion Orchestre Baroque & Les Voix baroques. In addition to concerts, the festival includes a talk by Harvard professor and director of the Leipzig Bach Archive Christoph Wolff and a masterclass by period cellist Jean-Guihen Queyras. The closing concert will be a complete performance of the Cello Suites by Queyras. 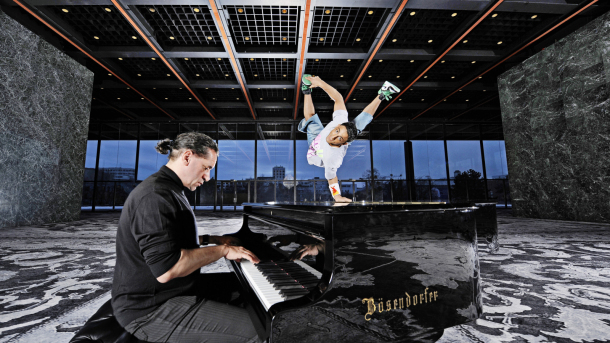 Highlights of the festival include Flying Bach, a performance by breakdancers(!) to Das Wohltemperierte Klavier (The Well-Tempered Keyboard). Catrin Finch plays the complete Goldberg Variations on harp. The Children’s passion is a family-friendly show. Michael Zaugg and the St. Lawrence Choir present a singalong program of Christmas chorales plus music by Buxtehude, Praetorius and Mendelssohn, as well as traditional carols. In addition to high-profile ensembles such as The English Concert and l'Orchestre symphonique de Montréal, a you can catch a free lunchtime concert by young up-and-coming organists. The festival continues until December 8.